We have a highly trained Master Plumber on our staff. He can handle anything from changing a faucet to installing a complete system in your new home. Plumbing repairs and changes in existing homes are limited to our regular fuel delivery customers. Installing toilets, tubs, sinks and showers. 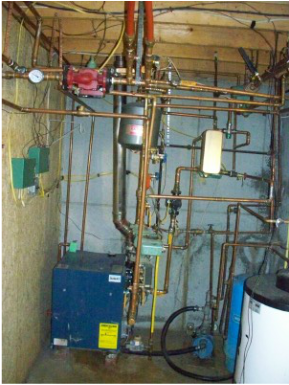 Installing complete plumbing system for new homes. The photo above is the clean quality we offer and you should expect from a professional plumber. Below is a photo of a local competitor.